Hi everyone! 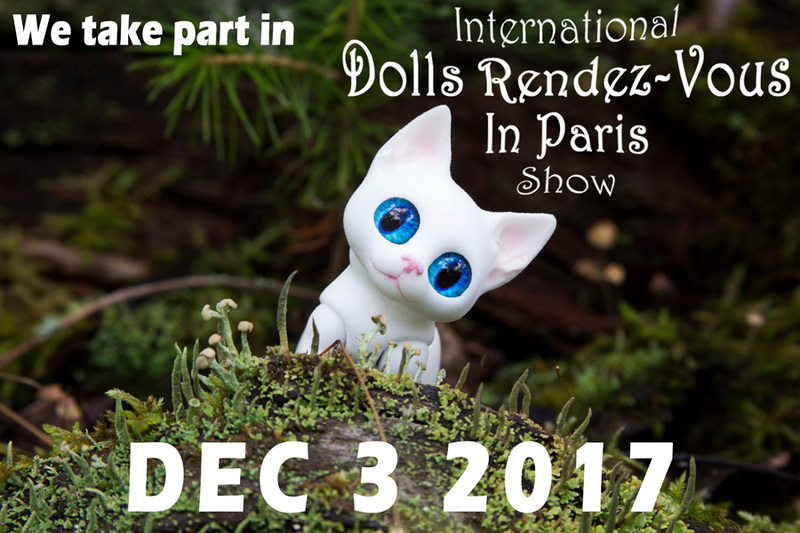 We take part in International Dolls Rendez-Vous in Paris Show 2017 which held on in Paris, France on the 3rd of December 2017. We will present our new magnetic kittens there. It’s Dexter and his siblings collection and 3 dolls of a new collection which is called Fantastic kitties. Also we will bring some BJD kittens, adult foxes and fox cubs, puppies and others. And there will be a few jewellery from our second project Bone Forest Gifts. We hope to see you at the event!